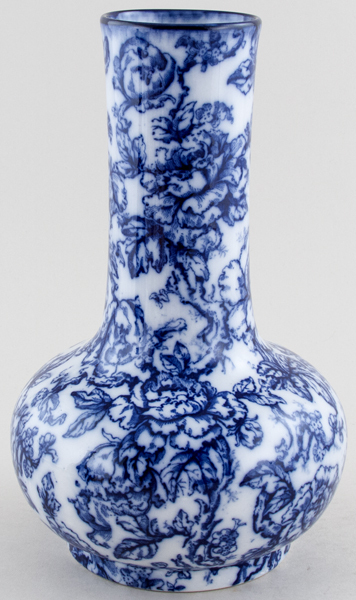 A gorgeous large flow blue vase. Backstamp: Losol Ware Cavendish Keeling & Co Ltd Burslem England Regd No 595146. Excellent condition. OVERSEAS SHIPPING OUTSIDE EUROPE Owing to the size of this item a supplement of � about US$52 will be added to the standard overseas shipping charge.